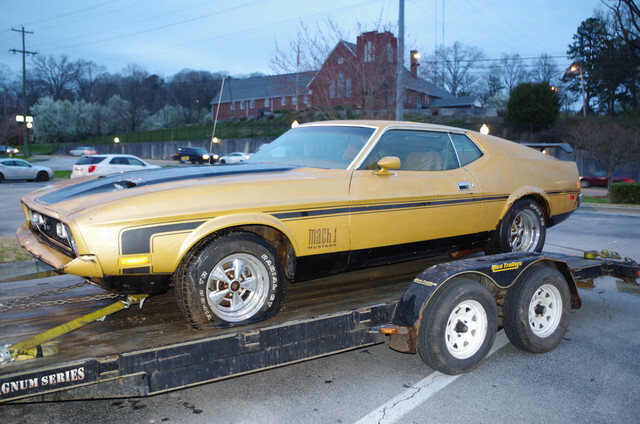 Finally bringing home my 72 Mach 1. The left rear drum brake is locked up and will not release. What disc brake conversions do people recommend? I found several on E-Bay with a master cylinder with the disc/disc proportioning valve. I have also looked at the Wilwood brakes. Not looking for slotted disc rotors or anything. Just a street car with some drag racing at the track. It will have a 500hp Cleveland and a manual transmission in the future.